Hi, I am currently on an H1B visa working for a company and went on maternity leave for 3 months. Now when I want to join back there are some contract issues between my company and client due to which its delaying the process of me joining back the office. Because of this, my organization is asking me to go back to India since the contract signing might take 3-4 weeks. 1. How long can I stay on H1B if my company has to remove me from payroll? 2. My husband is on L1 visa so after this period lapses and the contract is still not signed, can my husband's company apply for a transfer of my visa from H1b to L2? 3. For H1B to L2 transfer how much is the processing time? 4. Do I have to go out of US to come back on L2 visa or can I remain here the Visa status can change after the visa change takes affect? 5. Later if I have to come back to H1B visa, can my employer file for an H1b Change of Status if I wanted to come back on H1B visa? Please suggest, thanks in anticipation. 2. If you are out of status then a COS to L2 will be denied. In that case you will need to exit and enter US with a valid L2 visa and a copy of your spouse's I797. 3. 3 to 4 months. 4. You can stay in US till a decision is made on your COS petition. 6. In case of a medical reason of my new born, can I continue on H1B without without being payed by my company? 6a) If not, can my organization apply for a Business Visa if I have to stay longer in US due to ongoing treatment? 6. Yes, possible. You will need a medical certificate from doctor and your employer's attorney will do the necessary. 7b. It is not possible. Thanks again for your valuable inputs. 8a. I just talked to my employer and they told me that I can apply for L2 (based on my husband's L1) and during this time (2 weeks) I can still be on H1B until the application is filed with USCIS. 8b. Per the Answer number 3 above, it may take 3-4 months to get on to L2. If during this time I get a project and can work before the L2 transfer is complete, do I have to wait for L2 to take effect and then apply for CoS back to H1B? 9a. With Reference to the answer number 2, can I still go out of country and come back on L2 even if I am not out of status. Also, do I have to travel immediately or I have some time to do so? 9b. Since I am currently on H1B work authorization, while coming back to US, during immigration (on L2), can immigration officer ask me to come back ONLY on H1B or I can choose to be coming back on L2? 8a. That is correct but you need to be paid for the time after your maternity leave. Your pay stubs are the only proof to show that you are on valid status at the time of COS to L2 petition filing. If you do not have them then there will be a RFE followed by denial of petition. 8b. Once you leave H1B employer by law they have to revoke your H1B petition. If a new project or employer is available (say after a month or so) a new cap exempt H1B petition has to be filed. Once approved then you will need to withdraw COS to L2 petition. 9b. No. You can enter on L2 with a valid L2 visa and a copy of your spouse's I797. 8a. I just talked to my employer and they told me that I can apply for L2 (based on my husband's L1) and during this time (2 weeks) I can still be on H1B until the application is filed with USCIS. Is that ok? i have a similar situation - currently on H1b and planning for CoS to L2. a) how should I proceed to initiate my L2? Is this something an Attorney can take care or is it my wife's company who has to sponsor my L2? b) As it takes 3 months for H1 to L2 change - Can I continue to work on H1b even if i have applied for CoS to L2? c) Once I get my L2 approved (EAD) - does H1 status automatically becomes void and I have to inform my employer? a. 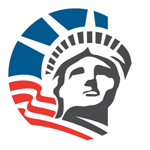 Fill form I-539, enclose supporting documents and fee and send it to USCIS. 1. Can I apply for L2 and EAD together? If yes, how long does it generally take to get the EAD? 2. Is it the same supporting documents for I-539 or is there any anything extra we need to provide for EAD application? 3. When I file together, do I get EAD directly or do we get L2 status first and then wait for EAD ? 4. During the processing, can I withdraw the CoS application anytime? 1. Ideally no. But, if filed together there is a possibility that a decision on your EAD application will taken after COS to L2 approval. 2. For an EAD normally an I94 is required. 3. L2 first followed by EAD provided you are allowed to file together. 4. Yes. But, there is always a possibility that your withdrawal request will not be honored. 5. Once I get my L2 and EAD, will I have trouble in re-entry to US ? Can I work after re-entry? Should not be any issue. Yes, you can work. Can you please respond to the above queries as my Wife is also in a similar situation. Can you please let me know how long will it take for H1B to L2 conversion and do we have any premium processing for this. Kindly respond and Thank you in Advance.